Location: Ma and Pa Heritage Trail- Bel Air Section at Williams St. Kiosk (turn onto Ellendale St. from 924 N). The run will consist of an out-and-back course starting and finishing at Williams St.
Time: 5K @ 9:00 AM, 1 Mile Fun Run @9:05 AM. 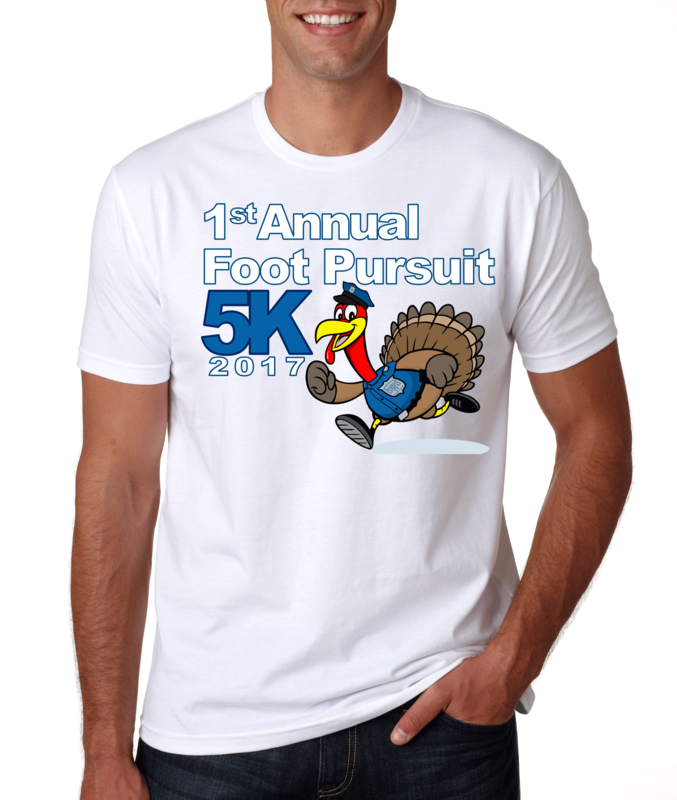 The LEO Wives Have Your 6 First Annual Foot Pursuit 5K will benefit our non-profit organization. LEO Wives Have Your 6 was founded by a group of law enforcement wives looking to help other Maryland law enforcement families and boost police morale throughout the state of Maryland. Our mission is to provide emotional, physical, and financial support to LEO families in need and to boost LEO morale. * Use the Message function on our Facebook page for questions. $20 after September 30 including race day. $20 after September 30, including race day. Virtual 5k Race - $30 all dates. Do you want to support our cause but can't make the event? Sign up as a virtual racer and receive the event bib and shirt, and do your own 5K your own way! Those registering online after October 18 and on race day - We do our best to order enough shirts for everyone but sizes and availability are not guaranteed if you register after October 18. Please come back to the registration table after the race to see what sizes are available. Thank you! Event Parking - Plenty of street parking is available. Awards: Top 3 male and top 3 female runners in each of the following age groups: 13 and under, 14-19, 20-29, 30-39, 40-49, 50-59, and 60+. Amenities: - Race shirts will be guaranteed to all 5K and 1 mile participants who register by October 18. (Sizes and availability cannot be guaranteed after October 18.) Sizes- Youth sizes S, M, L. Adult unisex sizes S, M, L, XL, 2XL. - Water stations will be at the turn around point for 5K and at the finish, as well as court marshals guiding you on the route. - The event will be held rain or shine and entry fees are non-refundable. Packet pick-up: Available starting at 7:00 AM Race Day. Pre-race packet pick-up - Will be held on Wednesday, November 1st from 5 pm to 8 pm at Looney's Pub, Bel Air. After Race Party: Please join us at Looney's Pub, 312 S. Main Street, Bel Air, MD starting at 11 am till 4 pm. There will be a silent auction, Chinese auction, and 50/50 raffle and 10% of all food sales will be donated to LEO Wives Have Your 6. **Must show copy of flyer or image on phone. Contact: Please email Cheri Feeney at leowiveshaveyour6footpursuit5k@gmail.com with any questions.